The Honourable chief minister of Karnataka H. D. Kumaraswamy gave away the trophy. The Honourable chief minister of Karnataka H.D.Kumaraswamy gave away the trophy. 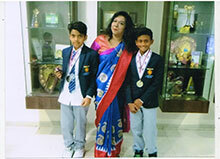 The students made the school proud by winning the trophy for ten consecutive years. The march past platoon led by platoon commander Dhanyashree won the Second Place in category 4 for the march past parade which was held at Manekshaw Parade Grounds on August 15th 2018.
International Mathematic and Mental Arithmetic Competition 2018. 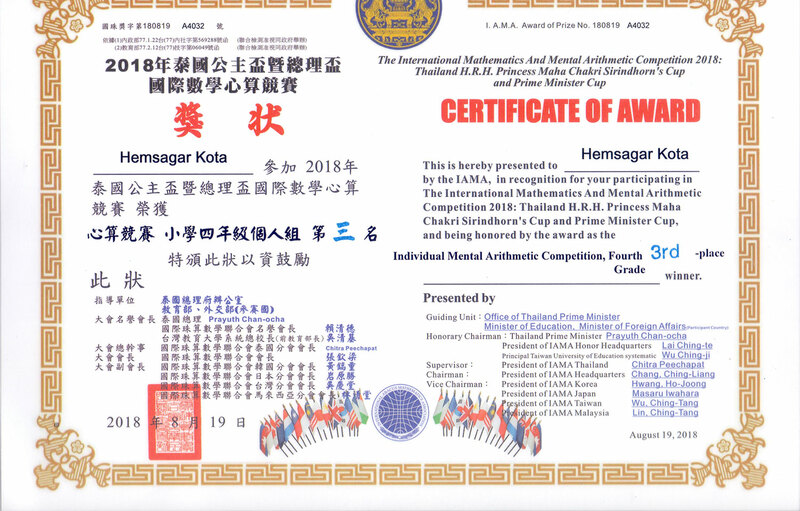 Hemsagar Kota studying in class V B section participated at the International ABACUS competition held at Korat, Thailand on 19th August 2018. 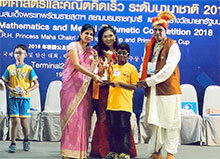 He secured 3rd Place from among participants from 9 countries. He had earlier participated and secured 2nd Place at the qualifying National Level competition held at Mumbai ,India on 26th January 2018. Hearty Congratulations to both DAIVIK S N and FOUZAAN HUMAID MECCI for representing India in the 2018 Asia Pacific Zone championship tournament held in Japan (Okinowa). They rendered an outstanding performance and won the "runners up" championship. They flew down from Japan and were felicitated by the Principal Mrs.NIMMY GEORGE. 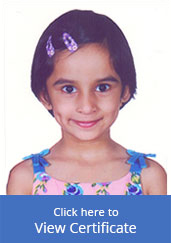 At the tender age of five, Pooja Madan of Clarence Public School has won the gold medal in the Skating – Inter Club Competition 2016 – 2017 .The event was organized by the Force 1 speed Skating Academy. 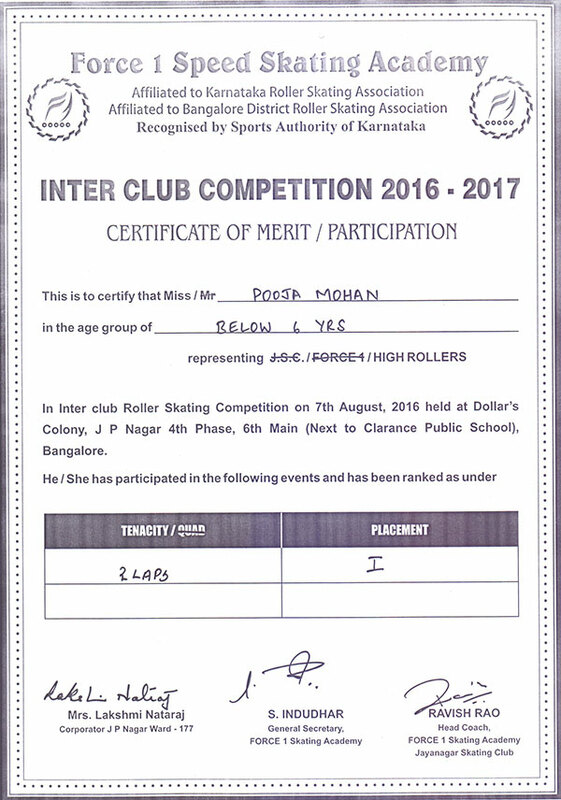 The Inter – Club Roller Skating Competition was held on 7 th August, 2016. The skating competition was chaired by Ex – Mayor Nataraj. Pooja Ranked first in the Skating Competition which consisted of 260 participants from three different clubs in Bangalore. She has displayed fine talent and we at Clarence Public School support Pooja to reach the highest excellence. We congratulate Pooja for this achievement and making us proud of her. Sohan Srinath of Upper Kindergarten has won the First Prize in Open State Level Abacus Competition organized by premier Abacus Institute Kindz N Brainz. He had participated in Level 2 for the competition. 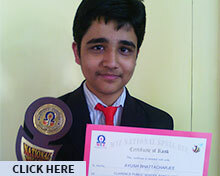 The Competition was held at Lourdes Boys High School in Ulsoor on 23rd January 2016. Class X secured the 29th Rank in National Level Spell Bee Competition held at South City School in Kolkata on 26 December 2015. The Competition consists of five levels, starting with school level, inter school level, district level, state level and ending with mega final in the national level. Our school has secured 100% distinction in the I.C.S.E and S.S.L.C examinations each year. We have been conferred with the certificate of appreciation from the "Commissioner of Public Instruction" for being one among the 20 best Schools in Karnataka who have secured "excellent results". Our students have notched up top places in various inter-school competitions such as dance, music, elocution, debate & group-discussions. Shaunak Geetprasad, student of 5th standard (section B) stood among Top 5 at Karnataka State Chess Championship (Under 11 age category). 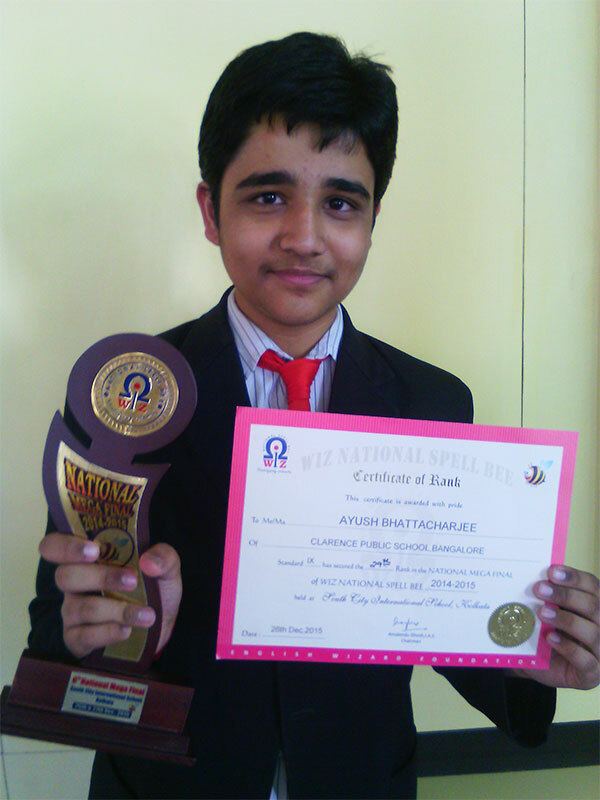 Shaunak is been practicing chess as an active hobby since childhood & has participated in many FIDE rated tournaments. He has recently acquired a FIDE rating as well. © 2003-2018 Clarence Public School, Inc. All rights reserved.